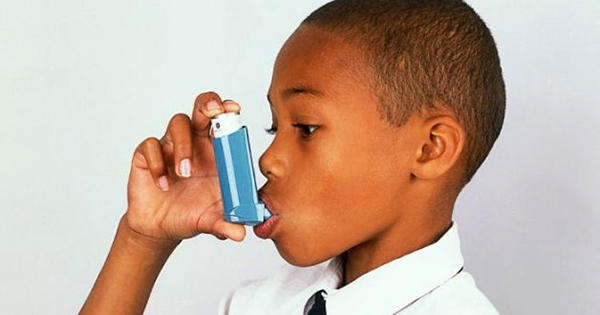 According to The U.S. Centers For Disease Control, black adults are more likely to have asthma than white adults. The National Institutes of Health reports that African Americans have more ER visits, hospitalizations, and higher mortality rates from asthma than whites. Why is asthma more serious for blacks? A new study shows that blacks are less responsive to treatments. Asthma is a chronic lung disease with airway inflammation that causes the airways to swell. Symptoms include wheezing and shortness of breath. However, Blacks are two to three times more likely than whites to be hospitalized or die from asthma because they do not respond as whites do to treatment, according to a new study. The study was the first to show clear evidence of differences of airway inflammation across race. According to study corresponding author Dr. Sharmilee Nyenhuis, "Our findings of higher numbers of African-Americans with this type of airway inflammatory pattern suggests a mechanism that may account for more severe and difficult to control asthma in African-Americans." She is referring to a type of airway inflammatory pattern called "eosinophilic airway inflammation" which has a reduced response to corticosteroids. Corticosteroids are used commonly as asthma medications. But "eosinophilic airway inflammation in blacks may be associated with worsened asthma and a reduced response to corticosteroids," explains Nyenhuis. The study, published in the Journal of Allergy and Clinical Immunology, highlighted the need to investigate other types of treatment for blacks who suffer with asthma.